Less than ten miles north of Brighton is the Ridgeview Wine Estate where grapes are grown, and serious awards are won. Ridgeview was founded in 1994 by Mike and Chris Roberts following the sale of their IT business. A site at Ditchling Common was picked which today consists of 17 acres of vines (7.5 acres of Chardonnay, and 9.5 acres of Pinot noir and Pinot Meunier) surrounding a sophisticated production plant, offices and a brand new tasting room. Growing partners in and around Sussex account for another 170 acres. There are around 15 permanent members of staff today including family members Simon, Tamara and Mardi Roberts as Head Winemaker, CEO and Sales & Marketing Manager respectively. Currently involved in the creation of the new tasting room are Yelo Architects whose previous work includes the One Hove Park scheme on Hove Park Gardens, and Nutshell Construction who were responsible for a loving refurbishment of Brook Place, a 17th century farmhouse in Cowfold. The tasting room consists of a generous dividable space with dreamy views of the South Downs (as the firm’s name suggests) across rows of vines. On the opposite side of the room, visitors can gaze over the gleaming machinery that ultimately turns grapes into award-winning sparkling wines. 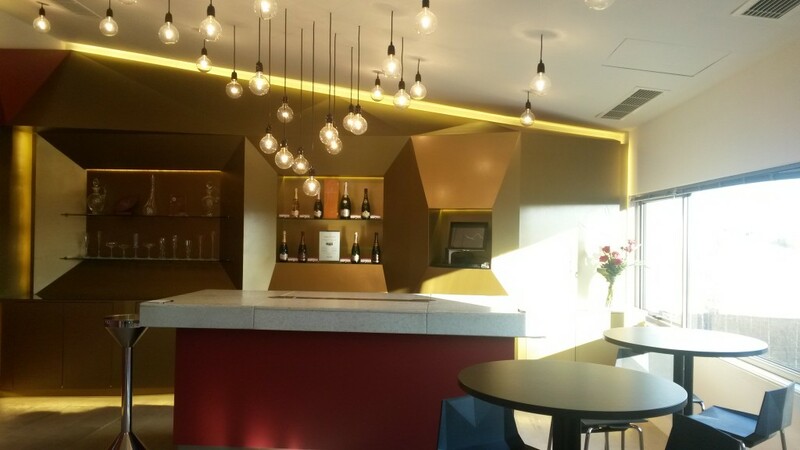 Angled panels in Ridgeview’s characteristic burgundy and gold bounce the light around the room in every direction. 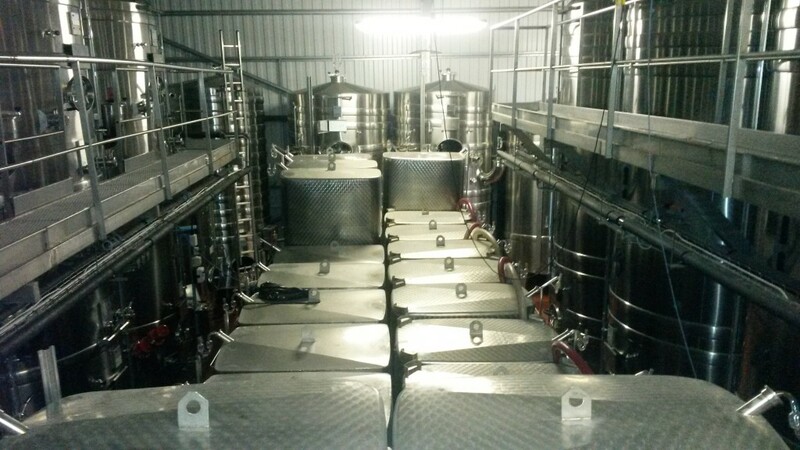 Downstairs, huge tanks contain the pressed juice of the three different types of grape that are used. The operation began with the production of 25,000 bottles per year. It’s now 250,000. Sparkling wine takes several years to make which means that several times that number are stored on site. A cellar below holds 250,000 bottles but more space is required – hence the commencement of construction of a new facility next-door that will hold 1,000,000 bottles. It is not the most glamorous of subjects, but is certainly one of the most fascinating. Brighton’s sewer system has proudly survived the test of time and works so well that it is rarely modified. But, from time to time, changes are required. 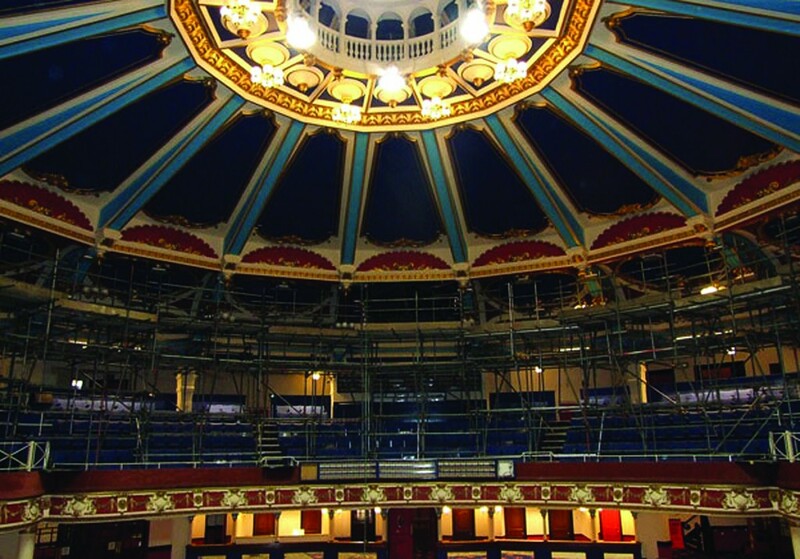 It was in 1865 that around 44 miles of sewers ranging from 12” to 8ft in diameter were introduced to Brighton. In 1871-4, an intercepting sewer was built along the seafront to the designs of Sir John Hawkshaw using yellow engineering bricks from Keymer to take effluent all of the way to Telscombe Cliffs using just gravity. 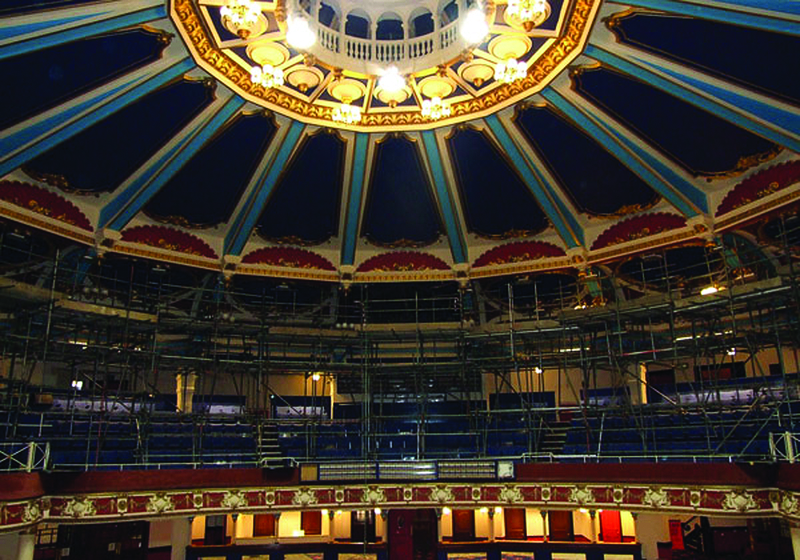 It has a length of 7.25 miles with a diameter of 5-7ft, and runs directly through the i360 site. 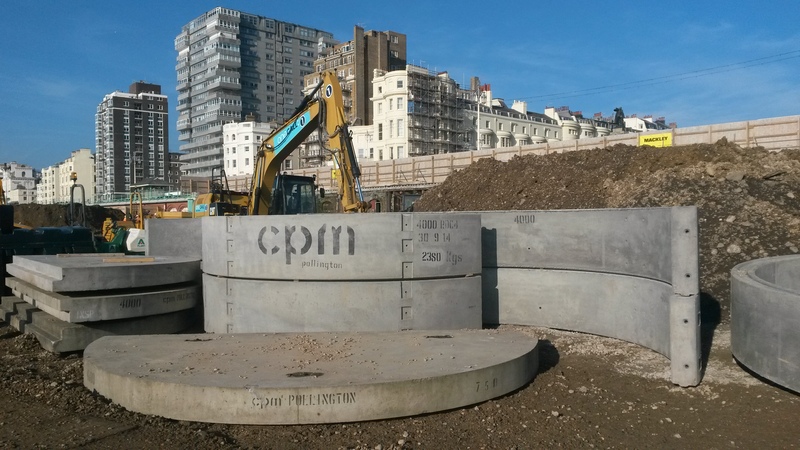 Rather than build over it, a decision was taken to divert around the i360’s huge foundations which will consist of 4,000 tonnes of concrete. The old sewer has been broken either side of what will be the base of the tower and a new sewer built in three sections around it. Rather than right angles, the joints are more generous to stop blockages. Four inspection chambers have been added – one for each corner. I visited the morning after a difficult night of work which saw the connection of old to new. 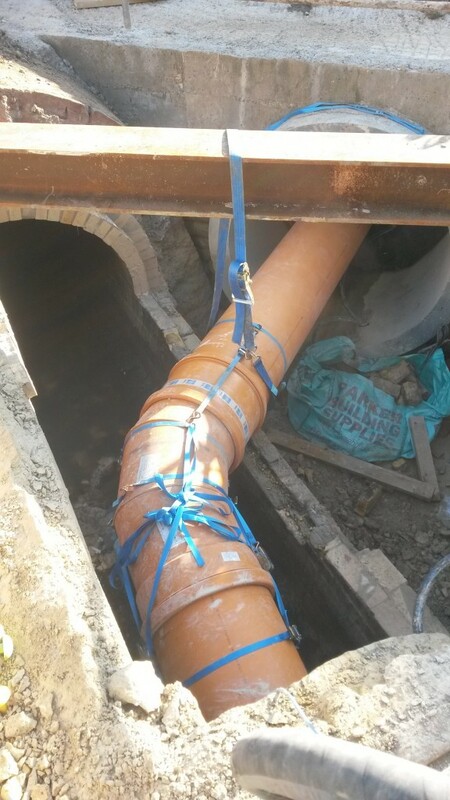 Bearing in mind that the sewer cannot be shut off, much thought was required (a similar operation was recently carried out regarding one of the city’s principal electric cable routes). Doughnut-like inflatables were used as plugs. Plastic pipes in their centres temporarily took the flow so that work could take place cleanly and efficiently. It is not hard to imagine how unpleasant a leak might have been. 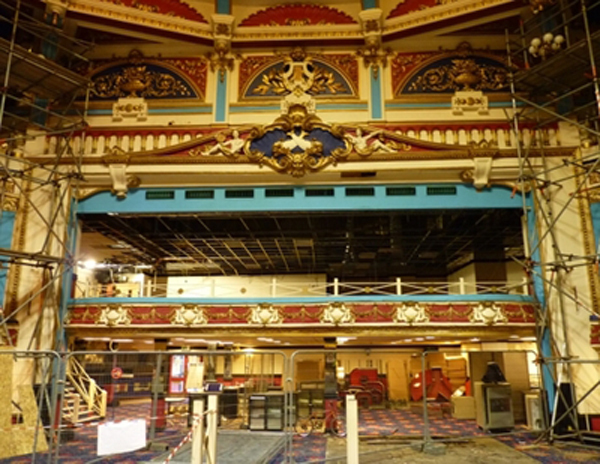 The operation, carried out by a number of parties including Southern Water, Thorne Civil Engineers, Mackley Construction and Hollandia, was a complete success.